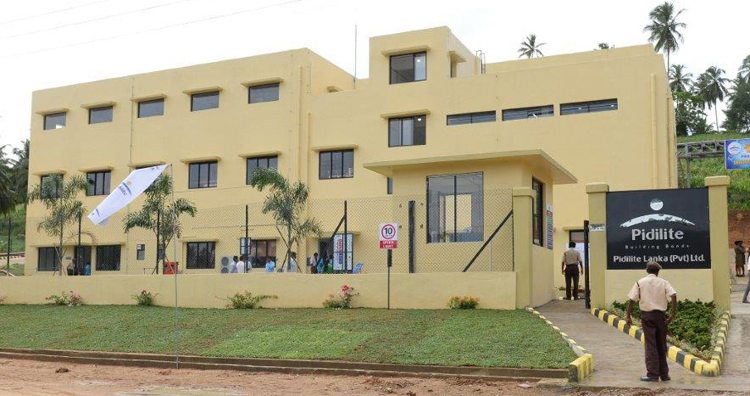 A state-of-the-art manufacturing plant of Pidilite Lanka (Private) Limited was formally commissioned at Polgahawela in Sri Lanka’s North Western Province on Tuesday, 10th July. 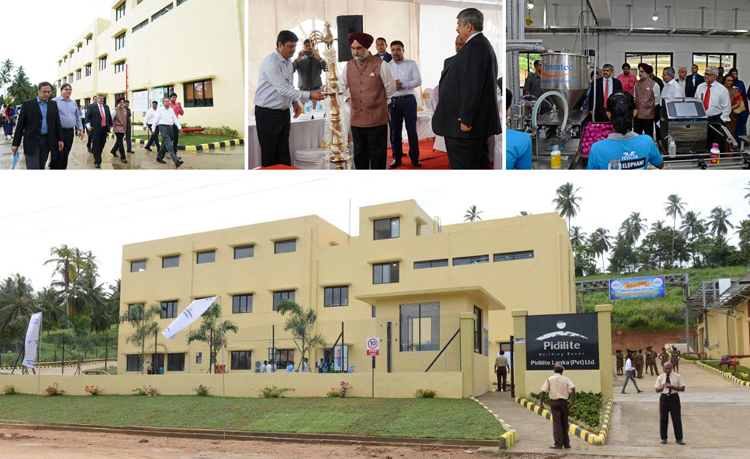 This opening was attended by his Excellency Taranjit Singh Sandhu, India’s High Commissioner in Sri Lanka, Mr. Bharat Puri, Managing Director of Pidilite Industries, Mr. Rohan De Silva, Chairman of McLarens Group, and many other dignitaries. Pidilite’s well-known brands in Sri Lanka include FEVICOL, the high-performance range of adhesives and Dr. FIXIT, an advanced range of waterproofing solution for healthy homes. In 2015, Pidilite Lanka acquired Chemifix, Sri Lanka’s leading white adhesive brand in wood working, stationery and industrial segments. These brands reflect the company’s objective to become an even more customer-centric and performance oriented organisation in Sri Lanka. Photo caption: Indian High Commissioner H.E. Taranjit Singh Sandhu, Pidilite industries Managing Director Mr. Bharat Puri and other dignitaries at the opening of the Pidilite factory in Polgahawela.